Are you ready to give your kitchen a makeover? If so, you know the cabinets are going to play a central role. One of the first things you are going to realize is that there are more than a few options to consider, with several price points, designs, and more. One of the first things you are going to have to decide on when choosing cabinets is if you want framed or frameless. Both offer their own advantages, but there are a few things that can help you make the right decision. A framed cabinet is one that has a face frame that covers the entire front portion of the cabinet box. This type of cabinet is also referred to as the “American Style” or even as being traditional cabinetry. This option is measured in inches and is ideal if you have transitional or contemporary doors. These cabinets offer much more stability, which creates a stronger cabinet altogether. Some of the biggest benefits of this type of cabinet is that the doors are actually secured to the frame, offering another layer of sturdiness. When you choose this style, the framed cabinets attach the door hinges to the shelves and face, and they are usually adjustable. You can use both full and partial overlay doors with a framed cabinet, offering more than a few design options. When you opt for frames on your cabinet doors, they can add a bit more dimension to the front. Often called full access cabinets, frameless cabinets don’t have a face frame. In most cases, this style and look is used for kitchens that have a modern look or a “European” style and aesthetic. With the door attached right to the box and seamless lines, frameless cabinets help to create a much sleeker look. With no face frame, this type of cabinet relies on a much thicker box construction for additional stability. Only the full overlay doors will be used on a frameless cabinet where the hinges have been attached right to the cabinet box sides. If you opt for frameless construction, you are going to see the flat drawer fronts and door, offering a simple aesthetic that appeals to and complements a number of design themes. There isn’t any center stile, which means you can easily access everything that you have put inside. In most cases, the shelves in this type of cabinet are adjustable, and the drawers are bigger. If you are on the fence regarding if framed or frameless cabinets are right for you, then it may be time to consult with the professionals. 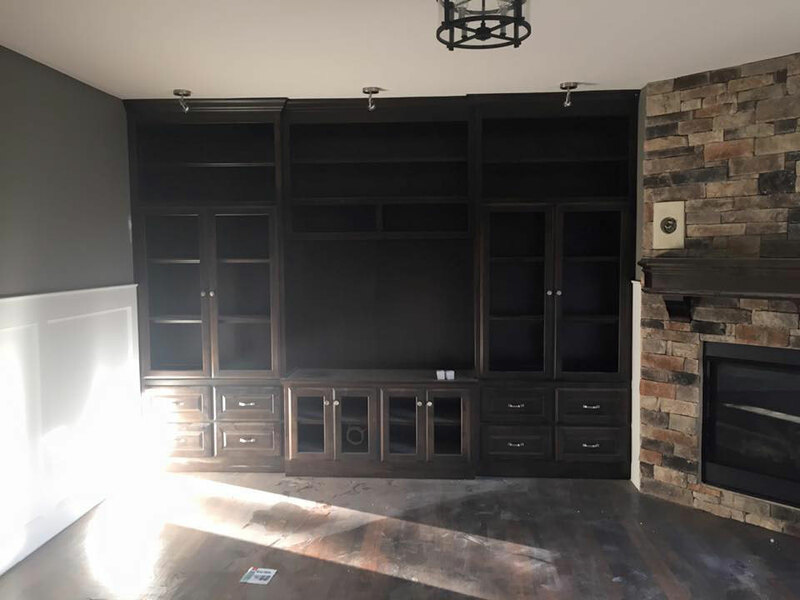 They can ensure that the highest quality results are achieved and that you are fully satisfied with the cabinets that you ultimately install. In the long run, seeking professional help with your new cabinets is going to help you achieve the very best outcome.